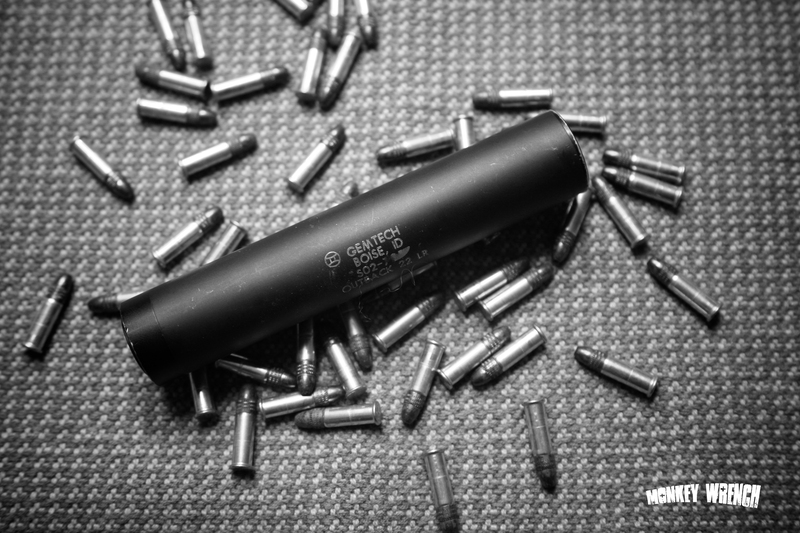 Kel from Gemtech recently pointed out that they now have the “Gemtech – Have it your way” upgrade program for the Outback and Outback II line of .22lr silencers. I’ve decided to send mine in, as it is very old, and not user serviceable. It also doesn’t quite compete with the modern cans anymore, a recently purchased YHM Mite was quieter than the Outback. The options Gemtech offers in the “Have it your way” means that the owner has a choice in materials for the blast baffle, and the following 5 K-Baffles. The choices are Aluminum, Stainless Steel and Titanium. I chose for a Titanium blast baffle, as it takes the brunt of the blast and crap, and aluminum baffles for the remaining 5 K’s. Stainless steel is a nice option as well, as it is easy to clean, but it is also heavier. And that is less desirable with a .22 silencer this size. The Outback weighs in at 4.3 Oz. at the time of shipping. It would be interesting to see the weight change when I receive it back. I think my choice is a good one. The can will go out in tomorrow’s UPS. Look for an update once it comes back! My Outback right before sending it in to get upgraded.